This fan site has been created to honour the image, character and personality of Izabel Goulart, who is unquestionably the most beautiful woman on the Planet. The site aims to offer a comprehensive and reliable source of information on the career and achievements of this amazing Brazilian supermodel. The content of the blog is intended to be an honest and fair assessment of the information provided by Izabel herself, although some assumptions have been made on the basis of other evidence, including media and third-party reports, to provide context. We would be perfectly happy to amend or withdraw inaccurate or misleading information where this is drawn to our attention. Thus far, her career has largely been focused in South America, for a Portuguese and Spanish audience. 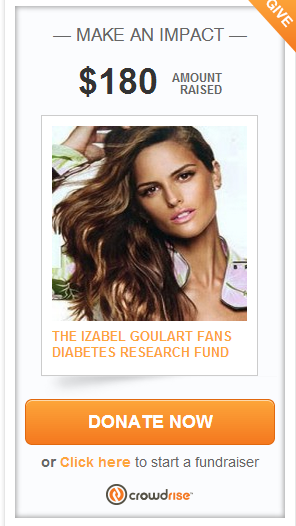 Along with a more formal sister website at izabelgoulart.org, the intention is to expand that exposure to the English-speaking community.